M27 Rootstock for Apple: information please? 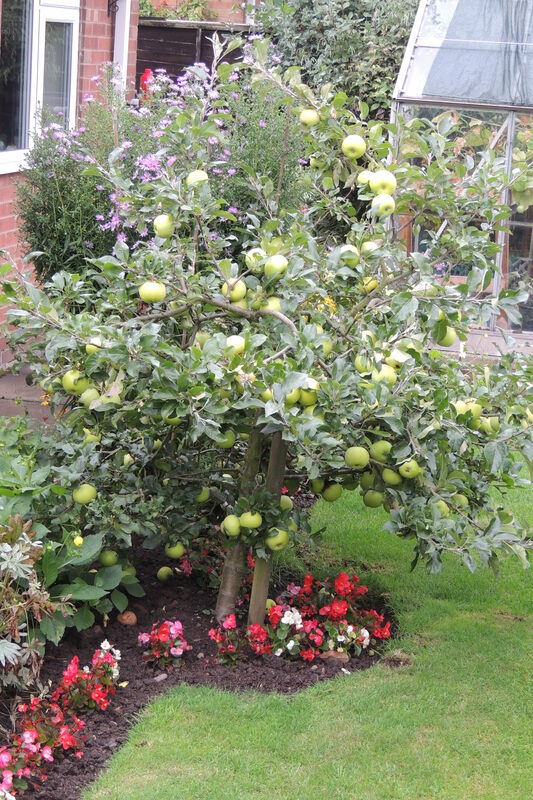 I read the article – ‘Little Apples Trees – grafted on M27’ by Adrian Baggaley on your main website. I would like to know more about M27. What is this M27 and where could I buy it? I garden in Malaysia. An Apple Tree and an Orange Tree for South East India: suggestions please? I would like to grow an apple tree and orange tree in Tamil Nadu, south east India. But here we do not have these two trees. I am challenging my friends and neighbours to grow these two trees in our area successfully. So please can you suggest an apple variety and orange variety. My area is hot from March to May. Photograph courtesy of Kevin Hauser, Kuffle Creek Nursery, California. See comment from Kevin below.